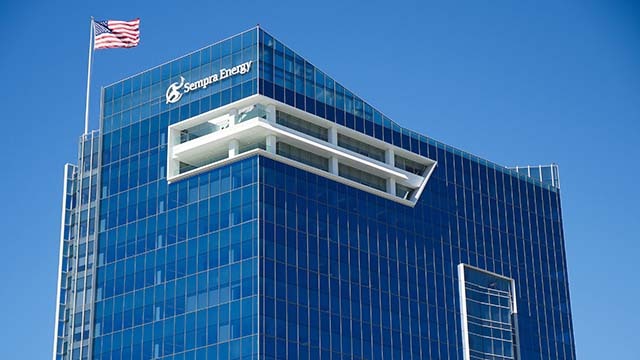 San Diego-based Sempra Energy announced Monday it has entered into a memorandum of understanding with French energy group Total S.A. that could pave the way for the joint-development of North American liquefied natural gas export projects. The agreement could see Total enter into a contract for up to approximately 9 million metric tons of liquefied natural gas annually from Sempra Energy’s Cameron LNG Phase 2 Project in Louisiana and the Energia Costa Azul LNG Project in Baja California. “We plan to leverage the competitive strengths of both companies to accelerate development of North American LNG exports to global markets,” Sempra Energy CEO Jeffrey W. Martin said. Sempra has been investing in natural gas export capacity because of the boom in American natural gas production from fracking technology. Total, which is already a partner in the Cameron LNG joint venture with a 16.6 percent stake, also may acquire an equity interest in the Energia Costa Azul LNG project. 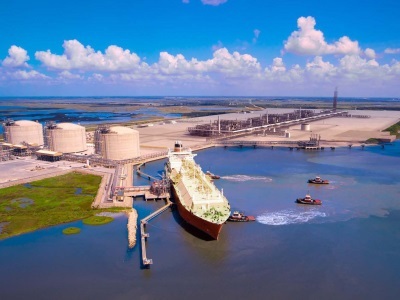 The $10 billion phase 1 of the Cameron LNG joint-venture liquefaction-export project, which includes three liquefaction “trains” — the industry term for a liquefaction and purification facility — with approximately 14 million metric tons per year of export capacity, is under construction in Louisiana. All three liquefaction trains are expected to be producing liquefied natural gas in 2019. The second phase of the project will add two liquefaction trains and up to two LNG storage tanks with a capacity of approximately 9 million metric tons per year. “This relationship with Sempra Energy will support our goal of building a diverse portfolio of LNG supply options that offers our customers flexibility, reliability and low-cost North American natural gas,” Total CEO and Chairman Patrick Pouyanne said. Phase 1 of the Energia Costa Azul LNG project in Baja California consists of one liquefaction train with approximately 2.5 million metric tons per year that will utilize the existing LNG receipt terminal’s tanks, loading arms and berth. Phase 2 will add an additional export capacity of 12 million metric tons per year. Posted in Business | Tagged Baja California, exports, fracking, liquefied natural gas, Louisiana, Sempra Energy, Total S.A.